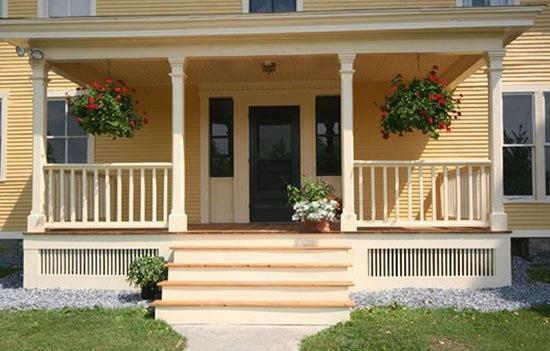 Beautiful entrance staircase designs create great first impressions and set a pleasant mood for viewing a house. 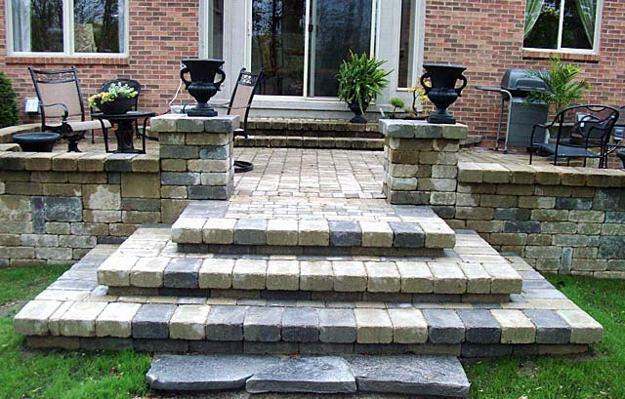 Decorated steps improve yard landscaping, add lovely accents to home staging, and connect home interiors with outdoors in a beautiful and natural way. 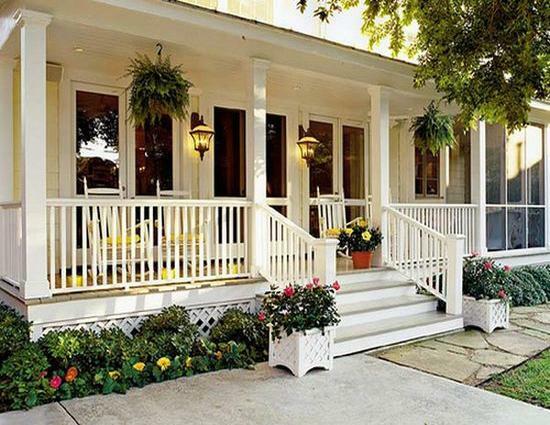 Not every house has front steps, but the elevated houses look bigger and more expensive. 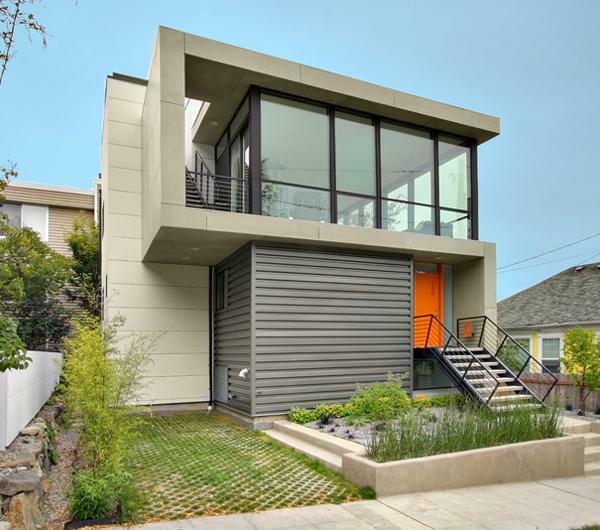 Lushome shares a collection of outdoor stairs to provide inspirations for modern designs that increase curb appeal and beautifully style home exteriors. 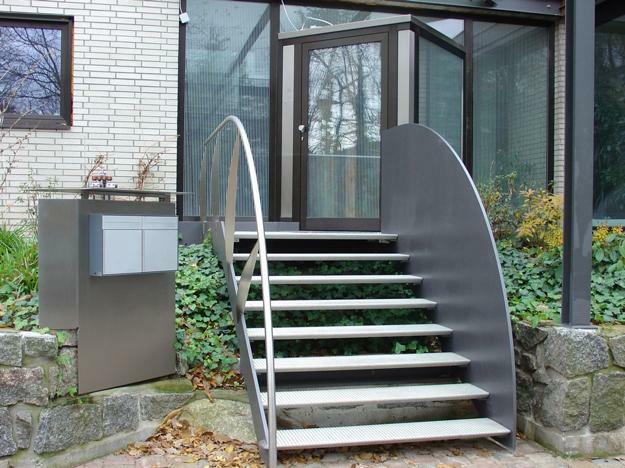 Entrance steps are not only decorative but functional elements of design. Steps raise floors and doors above the ground keeping the entryway clean. 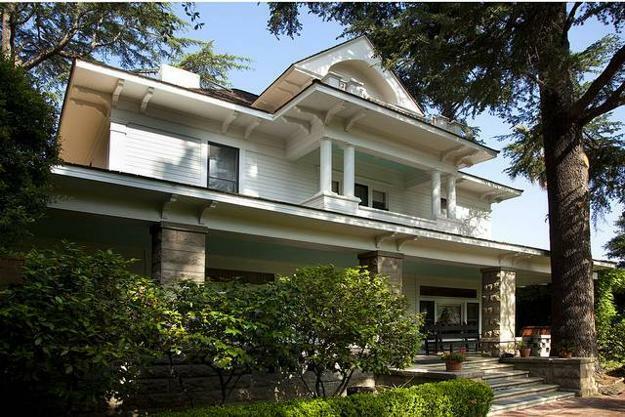 They add unique architectural details to facades and style house exteriors. Stairs make buildings look larger and more expensive. They are perfect for creating gorgeous displays with flowers or green plants that are cascading down the steps or guide a formal entrance. Staircases can help to blend modern houses with the surroundings, merge them with hills, and harmonize architectural designs. 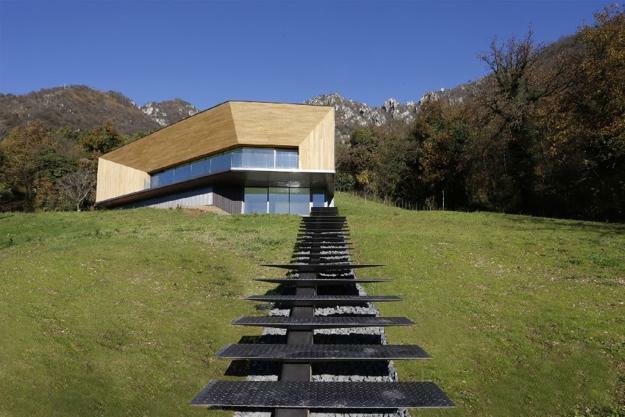 Functional and attractive staircase designs Feng Shui homes for wealth. 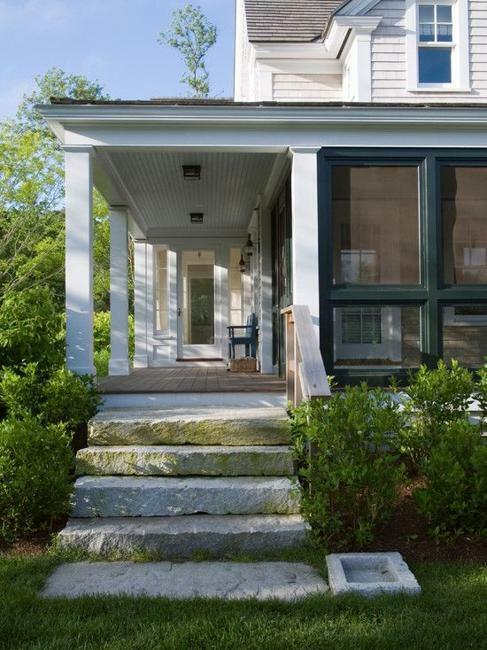 Building the steps in front of your home is relatively inexpensive, but it improves your home staging and changes the entire property look dramatically. 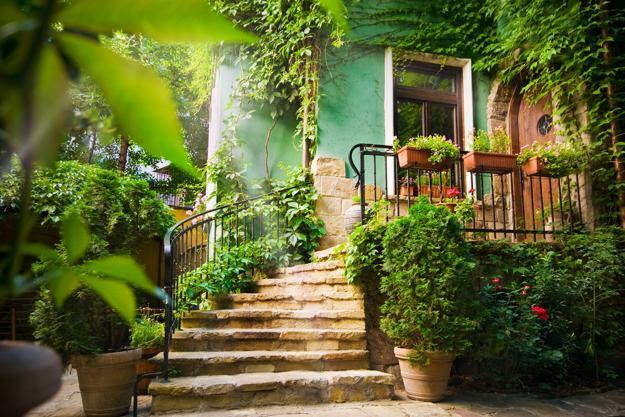 Beautiful staircase designs made of natural and eco-friendly materials, like stone, bricks, wood or metal, add wonderful textures to house exteriors. 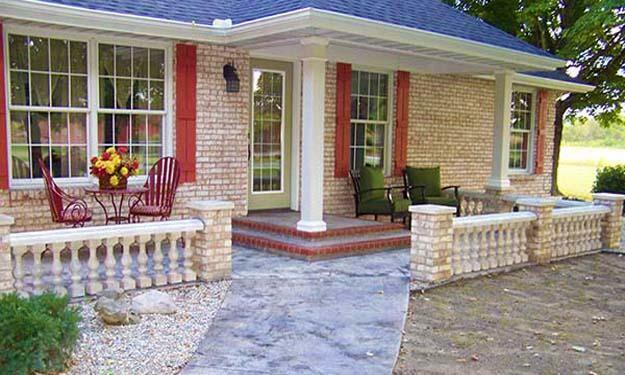 Contemporary, classic and eclectic designs, new and traditional materials offer fantastic alternatives to plain steps in front of your home. 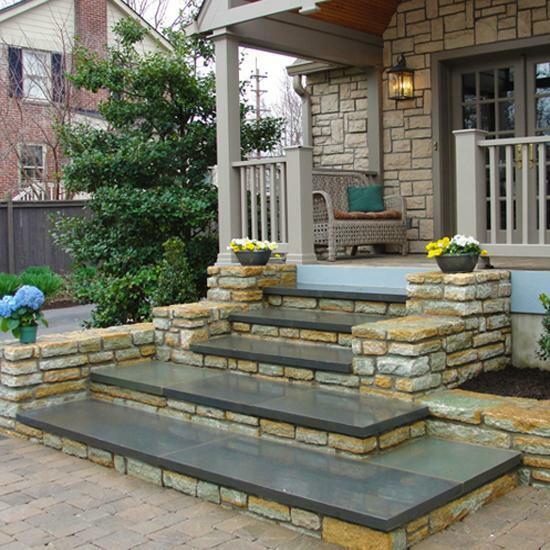 If you have a lovely home, do not hesitate to invest in designing beautiful outdoor stairs and decorate your entrance elegantly in style. Unique staircase designs are spectacular. 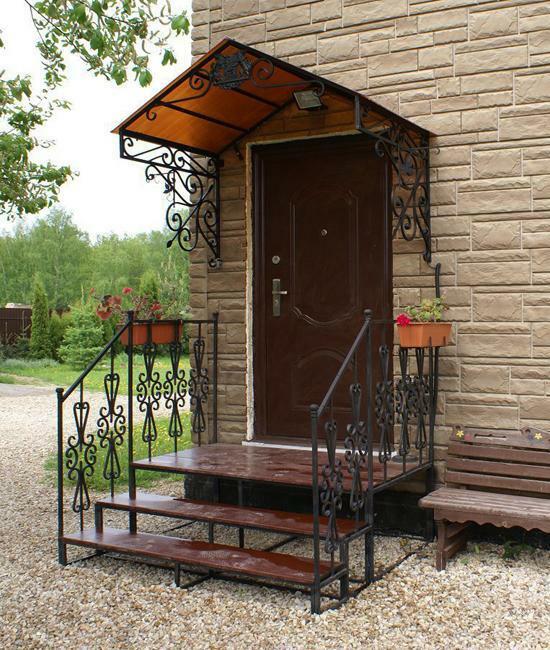 Some of them can be expensive, especially if the steps and railings are made of high-quality materials and feature original design. 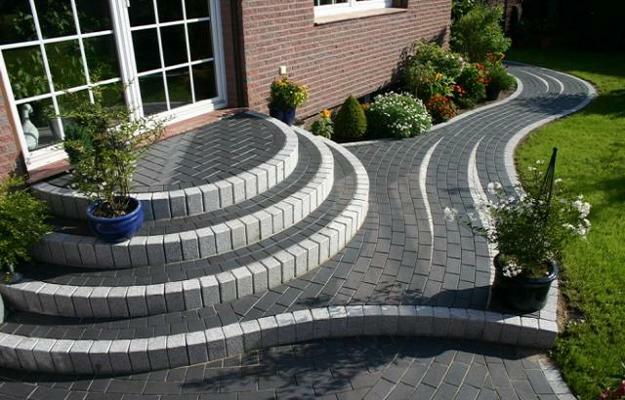 Decorative steps can be in monochromatic or contrasting colors, various shapes, from curvy to triangular. 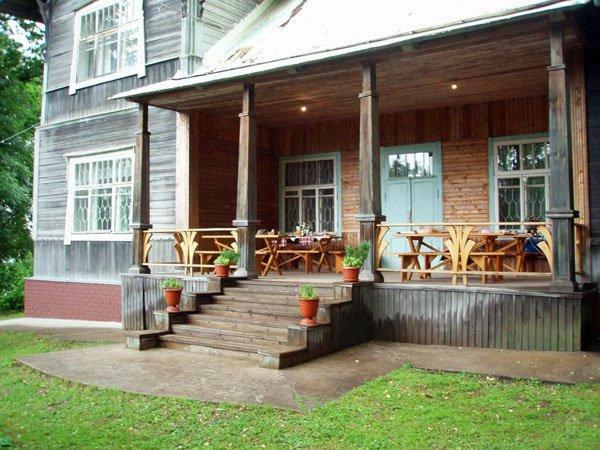 Creative staircase designs are delightful and surprising, ideal for aesthetic purposes. 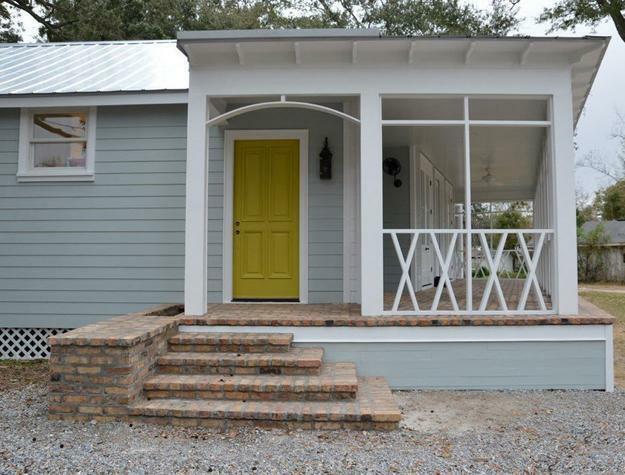 Customizing with color or pattern is easy. 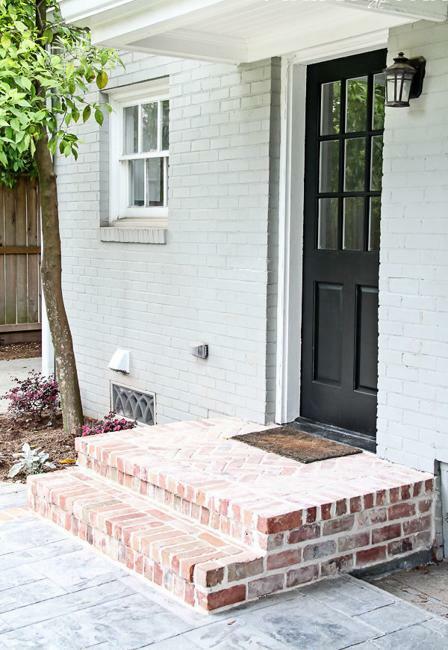 Unusual steps give a personal touch to the house. 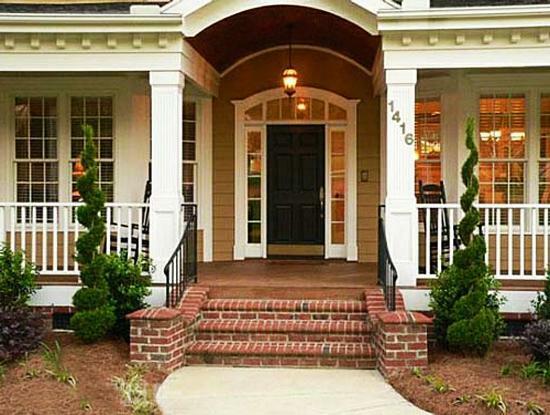 Beautiful decoration adds color and original details to create a positive first impression. 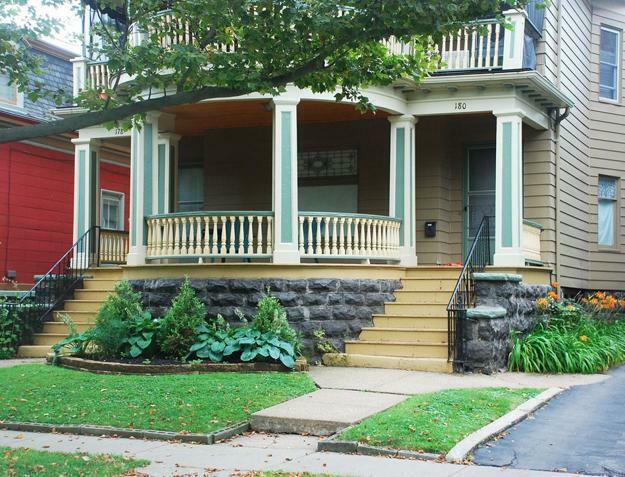 Your family members and guests will feel welcome and comfortable in front of your home. 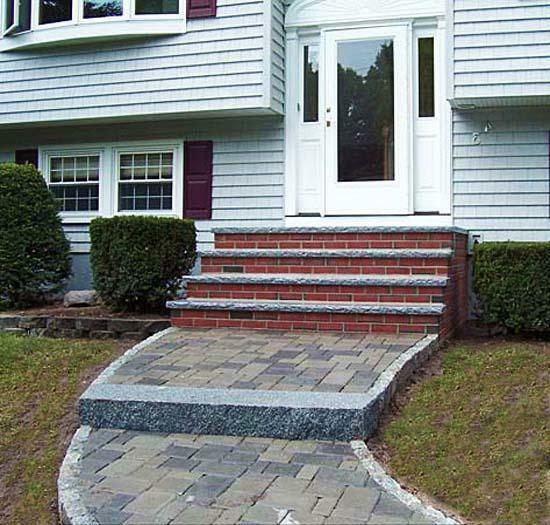 Entrance steps that complement the house design style help create a fantastic impression. Outdoor stairs and entryway design in one style emphasize the elegance of the house architecture and bring harmony into the home. 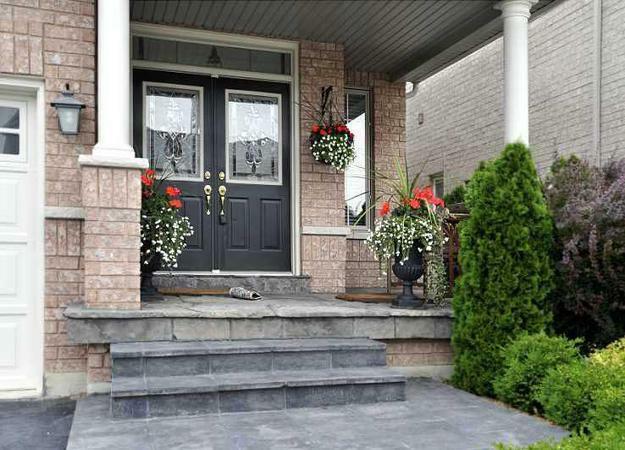 Tastefully designed and decorated front door and steps set a pleasant mood and increase the curb appeal. 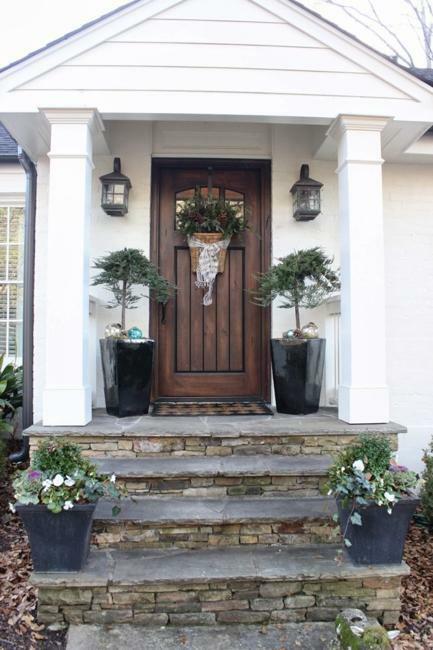 People like to decorate front steps for creating beautiful gates and doors. 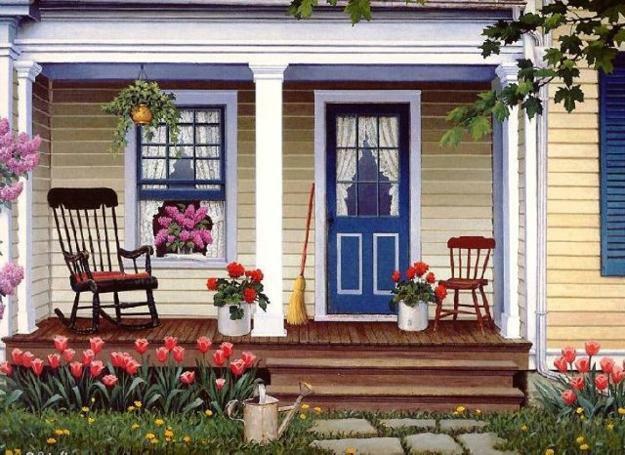 For decorating a porch, you have to find the best place for a compact outdoor furniture set and flower pots, select a complementing or analogous color for your front door, and add efficient lighting to the steps. 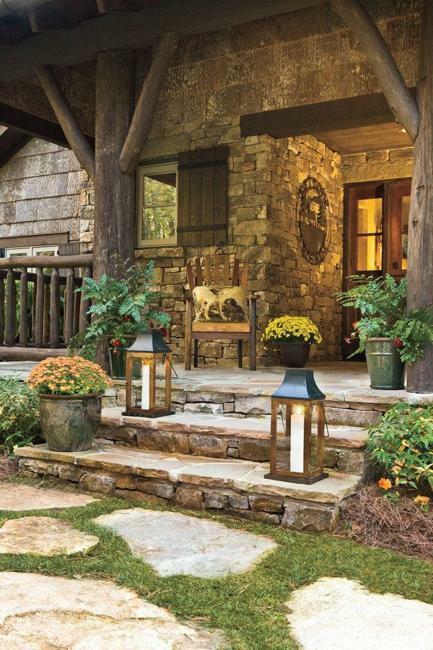 Unique accents and outdoor decorations help highlight the beautiful steps also. 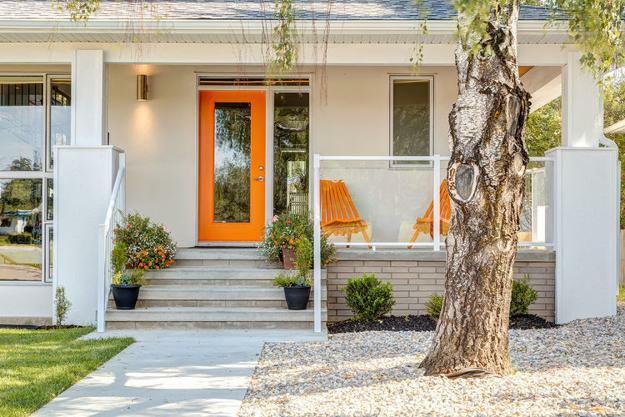 Bright door color, a chair or a small table with a flower pot are excellent ideas for your welcoming porch and entrance decorating. 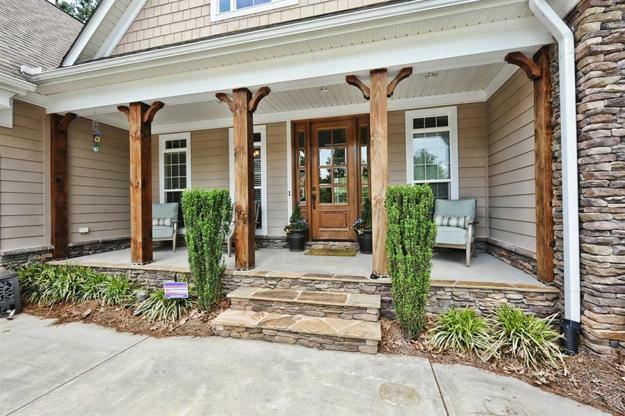 Flowers or yard decorations on the outdoor steps, lanterns or built-in outdoor lights, and attractive front door mat work their magic. 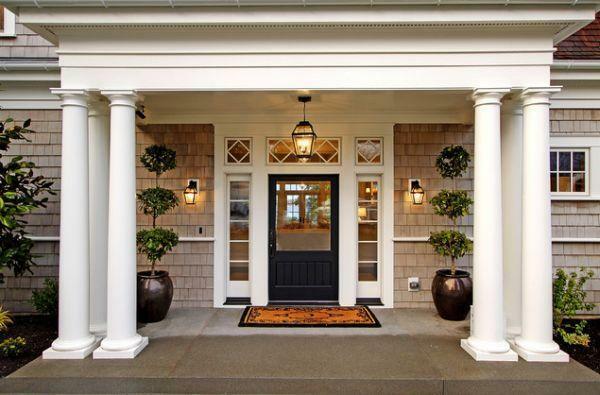 They create an elegant look and emphasize a beautiful front door and staircase design. 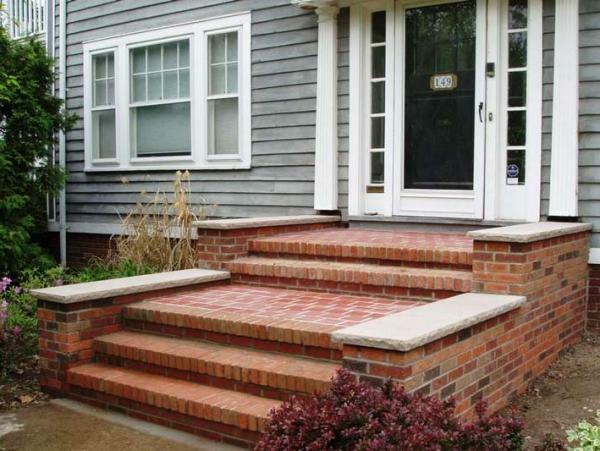 Stairs can add superb accents to exteriors and brighten up outdoor home decorating. Small and large, extensive and narrow, modern staircase designs offer many different styles and material combinations. Steps can be one color or different and bright. 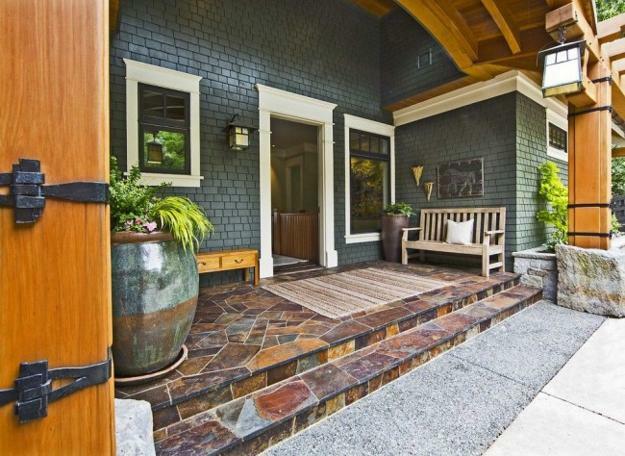 Steps in monochromatic hues, unusual shapes, and original designs look creative and beautify modern homes.